Wordclouds can be used for different things. They can help you to analyse a text to help you to become a better writer, they can be used to illustrate what the curriculum actually says or just to make nice pictures from words. I´m sure you can come up with other ways to use them as well. 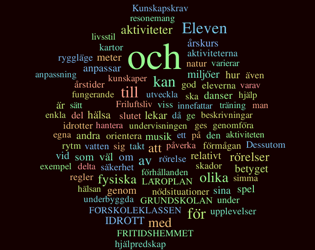 I´ve used wordclouds for the Swedish curriculum to illustrate what it says about different subjects. 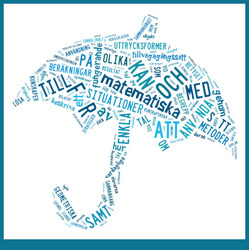 Here is a link to a page with with 108 ideas of how to use wordclouds in education. Wordle Is the most known service for making wordclouds. Just copy and paste the text you want to use (or use an URL). There are quite many settings (character style, orientation for the words, colors) to adjust the way the wordcloud will look, but you cannot create different shapes. 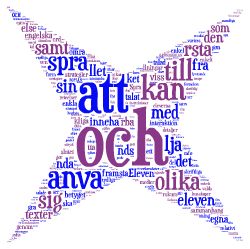 Tagxedo You can make wordclouds in different shapes. 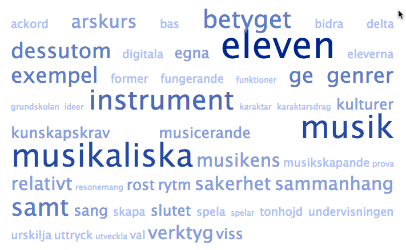 Otherwise it´s similar to wordle. Tag-cloud generator Paste a link to an internetpage and it´ll produce a 3D-cloud. The result can be saved as a flashfile. Tagul Create wordclouds in different shapes. You have to register (by email), which makes it a bit harder compared to other tools to use in schools. You can mix different fonts in one wordcloud. TagCrowd You can choose in what language the text is written and how many words that should be included in the wordcloud. There are less settings than in the other tools. http://timdream.org/wordcloud/ Wordclouds in html 5. Easy to use. You can make wordclouds from Facebook, wikipedia, Twitter, WordPress.com, RSS.-feeds, Google + or copy and paste text. When your wordcloud is generated you can change the theme, the shape and som other things by just pressing a button. Worditout A bit simular to wordle. Wants to use your email to save the wordclouds that are produced, but you can rightclick and choose ”save as” or take a screendshot of the cloud instead. Wordsift Not as visual as the others, but more focus on analysing the text. Vocabgrabber Focus on sorting/counting the words in the text. Abcya Wordclouds for younger kids. Maximum of 200 words. Imagechef Some limitations in how you can use the endproduct. Don´t seem to manage too long texts. Imagechef has some other tools as well (www.imagechef.com). ToCloud A tool I didn´t like. 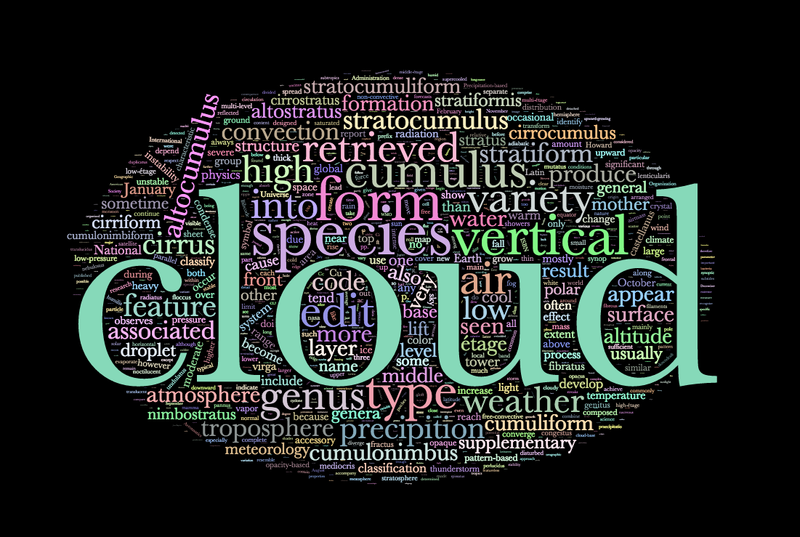 If you know of another tool for creating wordclouds that you like, please let me know!